500 Days of Summer is a 2009 American romantic comedy-drama film directed by Marc Webb. 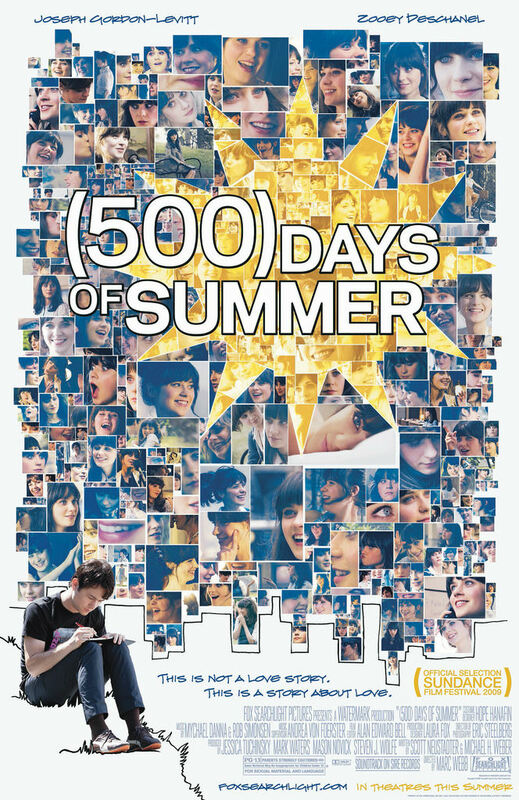 The film is presented in a nonlinear narrative, jumping between various days within the 500 days of Tom and Summer’s relationship. The closest font we can find for the film title in the poster is Helvetica Neue Bold Outline. For the sans serif used for the main title at the beginning of the film, it is ITC Conduit Bold by Mark van Bronkhorst.